Got flies hanging around your property annoying you while you make dinner or enjoy a BBQ with friends or customers are been pestered while dinning at your establishment. 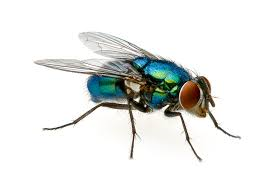 SR Pest Control fly treatments reduce fly number instantly and continue to work with our professional treatments. Install fly lights for cafe and restaurant owners. Thorax is the grey with four thin, black stripes. The abdomen is yellowish with thin black bands and a central stripe. Black and grey stripes running down thorax.